Advanced Portal Customisation: Customize wording and CSS in the settings. Invoice Details: Full detailed view now available in the settings. Want to align the design of your return portal to look and feel like the rest of your site to build trust? As some of you may have already seen, we have finally released our Advanced Customization add-on. This add-on allows you to have full control of your portal's wording and styling through custom CSS. 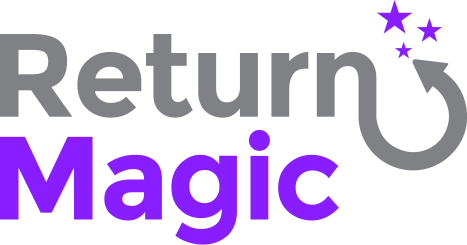 It is currently in beta, so feel free to send us a request at support@returnmagic.com so we can activate it for you! Want to see a more detailed breakdown of your Return Magic invoices? We have been receiving a lot of requests to better understand how and why you are billed, so we have added the full information on your invoices in your Settings. You can find them under Billing > Invoices. Let us know if anything is missing by reaching out to us at support@returnmagic.com or commenting below! Again this month, we are featuring one of our amazing merchants on our blog. Read here the story of Parks Projects, who combine a social and environmental cause with a thriving business. We are looking forward to meeting and speaking with more of you! Stay tuned for more awesome stories. As always, we want to thank you for your continued trust and support. Feel free to reach out to us with feedback - we use your input to decide what to build and write about next! Simply comment below, or contact us at support@returnmagic.com. We look forward to hearing from you!